In the same way that pediatricians are trained to meet a child's medical needs, our pediatric dental specialist is uniquely qualified to protect your child's oral health using the most advanced techniques. Pediatric dentists have an additional two to three years of training at university pediatric facilities in addition to four years of dental school and four years of college study. They learn how to deal with the behavioral aspects of children, how to make them feel comfortable, and to make the experience pleasant. They also are trained and qualified to treat special needs patients. When not practicing dentistry, Dr. Butler enjoys spending time with her husband, and two young children, Lyla and Owen. She enjoys going to the movies, reading a great book, loves Angels’ baseball, Ducks’ hockey, hiking, snow skiing, and photography. Traveling continues to be one of her greatest passions and looks forward to leading more dental mission trips to different corners of the world. Dr. Gloria (Cha Ae) Hur was born in Seoul, Korea, and has lived in Chicago, Dallas, Northern Virginia and Connecticut/New York. She attended New York University for her Bachelors of Science degree. Dr Gloria then continued on to receive her dental degree from Columbia University in 2012, and then completed her post-doctorate pediatric dentistry training from Yale-New Haven Hospital in June 2014. She is an active member of numerous professional organizations including the American Academy of Pediatric Dentistry, the American Dental Association, the California Dental Association, and the California Society of Pediatric Dentistry. Dr. Gloria feels passionate about Pediatric Dentistry, and strives to have all of her patients enjoy a positive and fun experience while at the dentist. She has participated in many outreach programs over the years that have helped develop that passion. Dr Gloria is also fluent in Korean, and knowledgeable in Spanish. In her free time, Dr. Gloria enjoys spending time with her husband and daughter Ashley, her family and friends, traveling, reading, and eating great food. She is excited about joining the Team at Butler Pediatric Dentistry and is looking forward to meeting you in the future. Dr. Maryam Meschi has spent most of her life living in Southern California. She has always had a passion for children and from a very young age, she knew she would enter a profession where she would be working with children. Her goal is to make sure her patients have a great experience at the dental office and leave feeling happy with their visit. She will go above and beyond to make sure children have a pleasant and positive dental experience. Dr. Meschi graduated from the University of California, San Diego with a B. A. degree in Human Development. While at UCSD, she was an active member of the San Diego Pre-Dental Society and Student-Run Free Clinic Project where she would provide free dental care to those in need within the community. Dr. Meschi continued her education and graduated from the Arizona School of Dentistry and Oral Health with her Doctorate of Dental Medicine. While in dental school, she also completed courses at A.T. Still University School of Health Management to achieve a certificate in Public Health Dental Emphasis. Dr. Meschi then completed her pediatric dentistry specialty training at Texas A&M University Baylor College of Dentistry. Baylor is a dual university and hospital based training program with a strong emphasis in working with children who have special needs or are medically compromised. Dr. Meschi is an active member of the American Academy of Pediatric Dentistry (AAPD), California Society of Pediatric Dentistry (CSPD), American Dental Association (ADA), and California Dental Association (CDA). In her free time, she enjoys hanging out with her family and friends, trying out new restaurants, skiing, scuba diving, and traveling. She also loves to spend time with her black and white Pomeranian, Cody. Dr. Krall is a Board Certified Dentist Anesthesiologist who has dedicated his practice to the delivery of anesthesia and sedation services to the dental profession only. Because of his dental background and his focus on providing services only for dentists, he understands the dental procedure and can anticipate the needs for each procedure and patient. 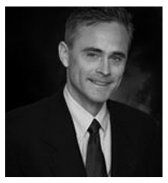 Dr. Krall is a graduate of Loma Linda University School of Dentistry. After graduation, he practiced general dentistry for 12 years before returning to train in Dental Anesthesiology at Loma Linda University School of Dentistry and affiliated hospitals. Dr. Krall is currently a member of numerous organizations, including being a diplomate of the American Dental Board of Anesthesiologists, International Anesthesia Research Society, American Dental Association, California Dental Association, and the Tri-County Dental Association. Dr. Krall has been married to his wonderful wife Lisa for 17 years. They have 13 year old twins, Daniel and Bailey. His family enjoys cycling and completed their first century (100 miles) as a family on Mother’s day of 2013. They also enjoy other outdoor activities such as hiking and running. Dr. Kathryn Le is a graduate of the Dental Anesthesiology Program at Loma Linda University, a two-year post-doctoral residency. Her extensive training at the Veterans Affairs Loma Linda Health Care System, Riverside County Regional Medical Center, and Loma Linda Medical Center provided her with invaluable experience in cardiology, internal medicine, and medical anesthesiology. This training allowed her to successfully manage a large variety of complex medical and surgical cases. In addition to her hospital-based experience, she also has considerable experience in providing outpatient ambulatory anesthesia. At Loma Linda University's Special Care Dentistry Center, a clinic treating approximately 5,000 patients annually, Dr. Le provided general anesthesia for a variety of special needs adult and pediatric patients. Examples include patients with autism, ADHD, cerebral palsy, Down's Syndrome, and pre-cooperative young children. Dr. Le is a member of the American Society of Dentist Anesthesiologists, the International Anesthesia Research Society, the American Dental Association, the California Dental Association and the Orange County Dental Society. She is also certified in Advanced Cardiac Life Support and Pediatric Advanced Life Support. Prior to her training in anesthesiology, she received her bachelor's in Neurobiology and Behavior from the University of California, Irvine in 2002. During her stay at UCI, she conducted research under the National Institutes of Health. In 2006, she received her doctorate in dental surgery from the University of California, Los Angeles. She was twice awarded the Regents Scholarship, the highest level of recognition within a UC, at both UCI and UCLA. From 2006-2007, she completed a general practice residency at the Veterans Affairs Palo Alto Health Care System. In her free time, Dr. Le enjoys playing guitar, recording music, watching HGTV, and practicing wing chun kung fu. Her favorite activity of all, however, is spending time playing, teaching, and relaxing with her son. Dr. Le loves children and is committed to providing the highest level of comfortable and safe anesthesia for all mouths, big or small.